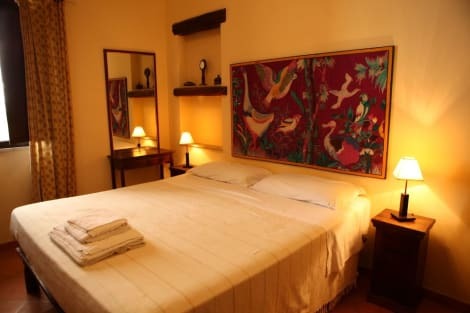 The Villa D’ Amato Hotel is a comfortable three stars hotel, recently renovated and situated just four kilometres from the historic centre of Palermo and 19 minutes walking to the beach. The position of the building in an area overlooking the sea offers to the guests a peaceful atmosphere. Rooms are spacious and comfortable and have private bathroom, hairdryer, LCD TV, direct dial Telephone, heating, air conditioning, minibar and free wi-fi internet connection. They also offer sea or garden views and some have a balcony. In summertime you may enjoy a continental buffet breakfast in the lush garden, nestled between palm trees and flowers. 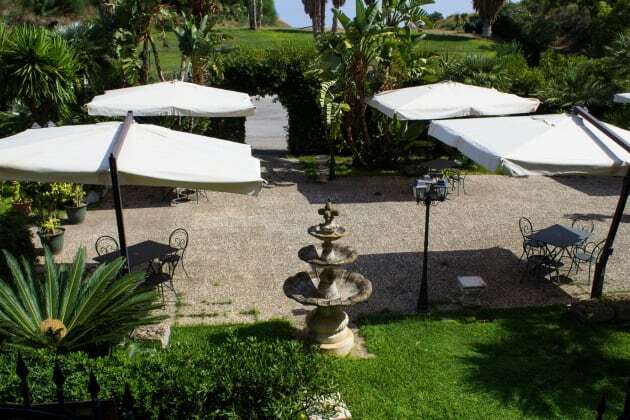 Villa D’ Amato's restaurant will surprise you with Sicilian and national specialties, as well as its extensive local wine reserve. The bar area, elegant and refined, is the ideal place to spend pleasant moments enjoying excellent cocktails and drinks. Make yourself at home in one of the 83 air-conditioned rooms featuring minibars and flat-screen televisions. Complimentary wireless Internet access keeps you connected, and digital programming is available for your entertainment. Private bathrooms with showers feature complimentary toiletries and bidets. Conveniences include phones, as well as safes and desks.